Blog Snapshots in Science: ‘Robo Sapiens’? I kind of let photoblogs die down, which is unfortunate, because there are scores of out-of-this-world awesome developments, like ‘Robo Sapiens’ – well, almost. 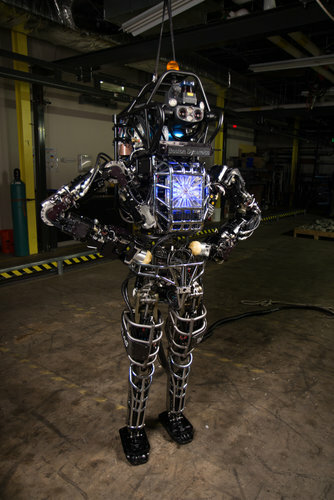 The New York Times published an article this past week on the humanoid robot Atlas. Where science fiction meets reality, technology finds massive potential in advancing humanity as Atlas is currently being programmed to work in conditions unsuitable for humans and thus can serve well as an ideal rescue unit, even potentially in serious disasters like Fukushima. The article quotes, “ ‘People love the wizards in Harry Potter or Lord of the Rings, but this is real,’ said Gary Bradski, a Silicon Valley artificial intelligence specialist and a co-founder of Industrial Perception Inc.” (Markoff 2013). To learn more, check out the full article, also posted with a video of Atlas in action.